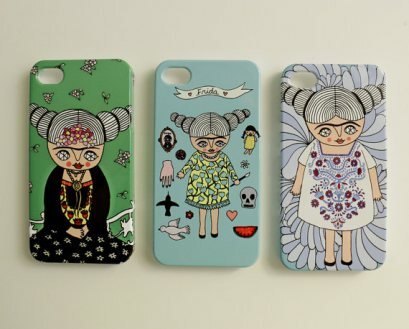 I was smitten with the bubbly, sweet personality and equally adorable artwork of Norma Andreu – the creator of Cara Carmina. 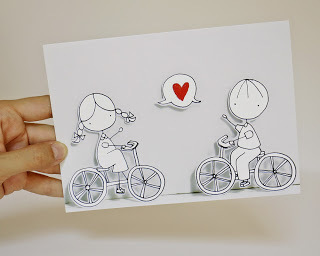 I was first pulled in by her beautiful greeting cards, which featured illustrations that were vivid, imaginative and cute, with just the right amount of strangeness. 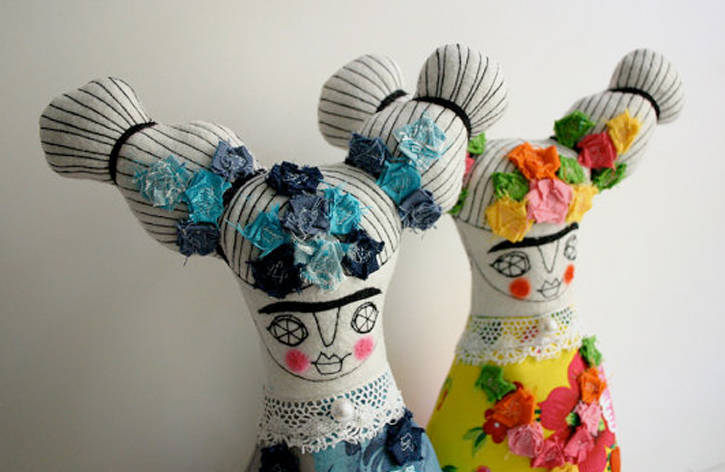 As the Cara Carmina website (http://www.caracarmina.com/#!portfolio) describes in the artist’s statement, the influences of Mexico’s culture and art, as well as a background in children’s illustration really bring together a playful set of circumstances in the work – and the results are just magical. Check out the website for pages and pages of portfolio proof – and you’ll fall for her work, too, I dare you not to. 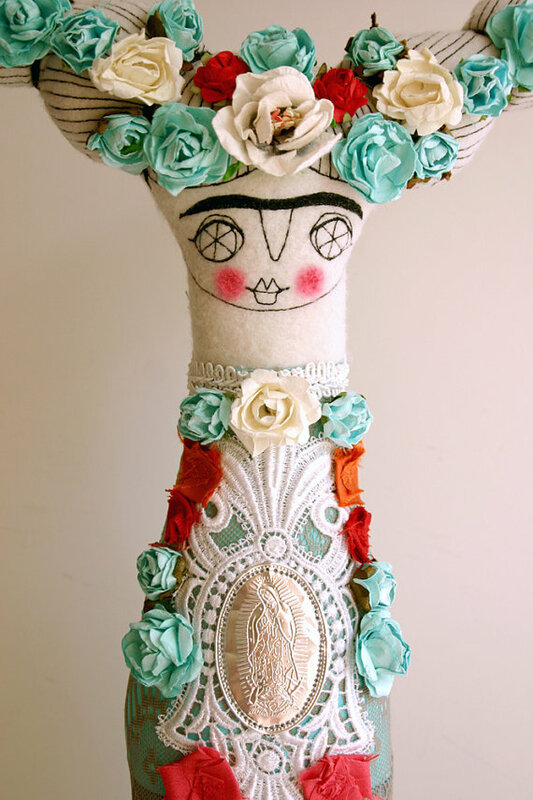 I would love a set of the Frida dolls for my little one’s room (or my own, let’s be honest). They are so much cooler than the plastic, cookie cutter dolls mass-marketed to our young folks. 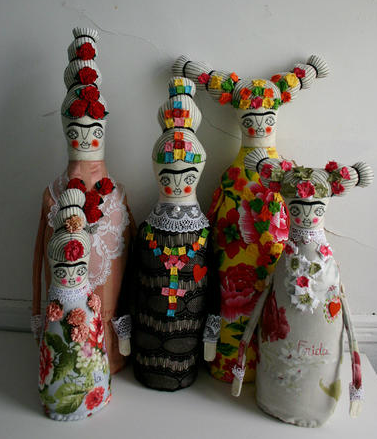 If dolls aren’t your thing, clothing, dioramas, cards, textiles and paper dolls are also on offer and available in her online shop, as well as on Etsy (https://www.etsy.com/ca/shop/Caracarmina). 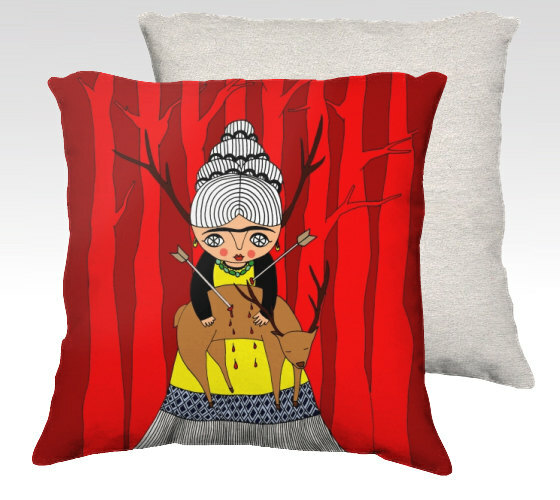 Textiles in full effect: cushion covers with a sense of humour. Norma was absolutely lovely in person and so humble about her talents. More and more people seem to be clued in to the fact that her work is a hot commodity. According to her Etsy page, she has back orders and a waiting list for some of her designs, so … get on it! Supporting artists by taking a piece of their imagination and heart home with you is the perfect way to breathe life into your own little nest. Definitely check out her work and look for her at future One Of A Kind Shows. All images culled from the web, or taken at the show.